When it comes to food, BW’s biggest complaint against me is my terrible decision-making. Apparently, this happens to be a weekly occurrence when we go for dinner and although this has been pointed out to me many times, I just can’t seem to understand. 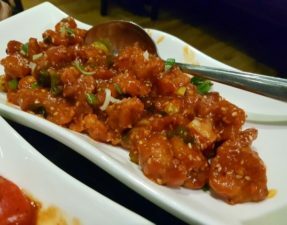 One example was when I decided to organise a spontaneous dinner date for BW at this non-halal restaurant that I had found online. According to me, they had rave reviews and was THE place to go, so when we got there and found the place to be empty, BW gave me the side-eye. The bonus was that the food was terrible. A more recent example would be a few weekends ago; we had found the perfect pizzeria, got the directions, and started walking there dreaming of our upcoming feast. 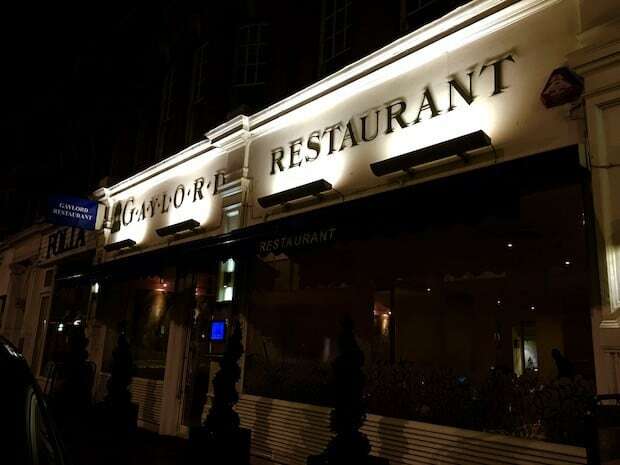 And everything was going to plan until something caught my eyes: Gaylord restaurant. This was our favourite dish of the evening, both taste and aesthetically wise. 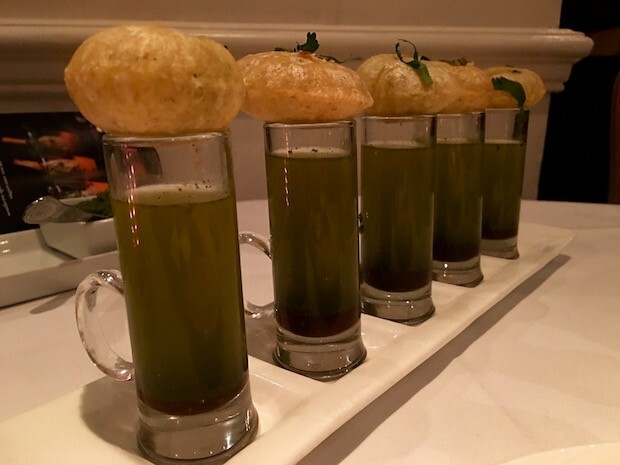 Tall and thin shot glasses arrived, filled with jeera infused water, and had been topped with already-filled puris. They were crispy, and managed to withstand all the water weight before melting in your mouth. The chana and potatoes were soft and flavoured with little spicing, otherwise it would have been too overbearing when paired with the jeera water. The only issue I had was that the shot glasses contained enough water for two puris instead of one, so maybe smaller glasses would have done the trick. 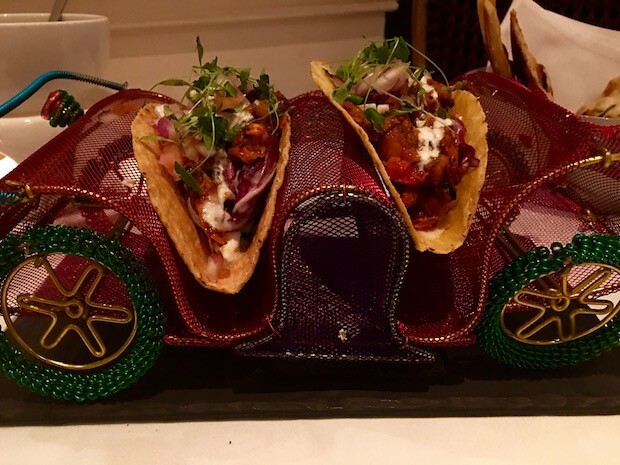 A little colourful and pretty car arrived on the table, nesting two pulled chicken tacos. Although stating that they would be soft tacos, they arrived in hard shells, making them difficult to eat without falling apart. 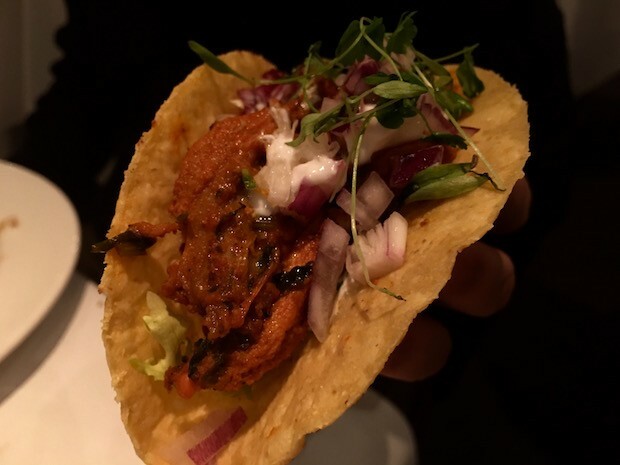 And even though it was a fun concept, I found that the combination of the Indian pulled chicken and the tacos didn’t quite work for me; perhaps a softer tacos would have helped, or even rotis would have been sufficient. Having said that, the chicken on it’s own was delicious to eat; tender and bursting with aromatic flavour. Gaylord’s version was forgettable; it wasn’t bad but it was a little lacklustre in terms of presentation and taste. This was fantastic! 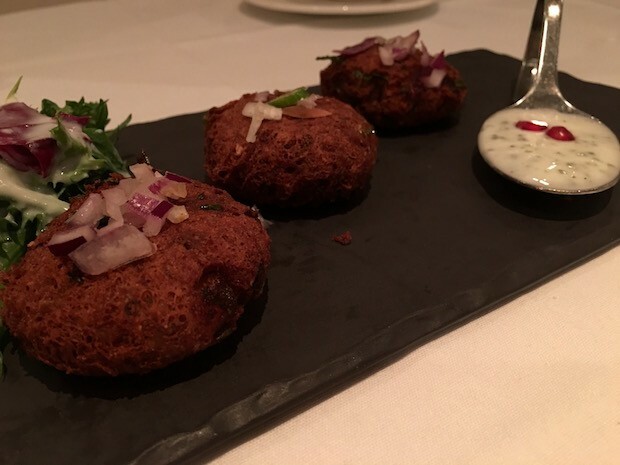 Mouth-melting, soft little lamb patties that were bursting with flavour and plenty of spice that was cooled down with the accompanying raita. 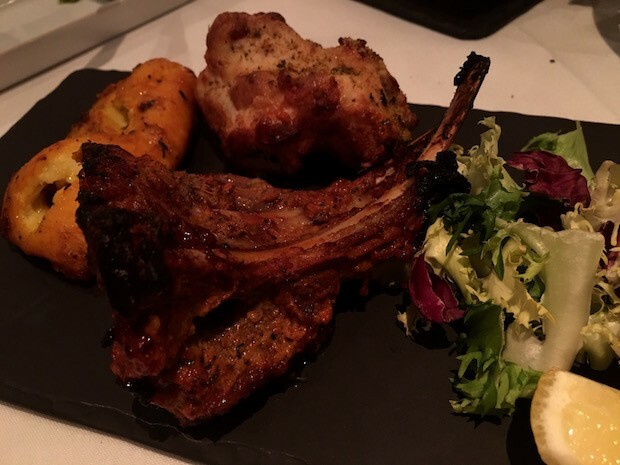 A mixed grill for one that consisted of fish tikka, murg malai tikka, and a big tandoori lamb chop. All three of them were just okay. 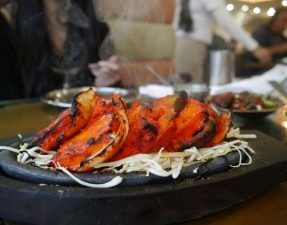 The murgh malai tikka was quite underwhelming, but it always tends to be in comparison to their meaner, bigger sister – the red chicken tikka. The fish tikka could have benefited with a better fish than tilapia, and the chop was just a little too big and difficult to eat. Great flavouring but just needed some oomph. Obviously, my eyes scanned past the price and just settled on “black dahl”, “house specialty”, and “slow-cooked”. Well, when my outrageously-priced dal arrived, I really got stuck in and enjoyed the creamy, smoky lentil curry with my deliciously buttery naan. 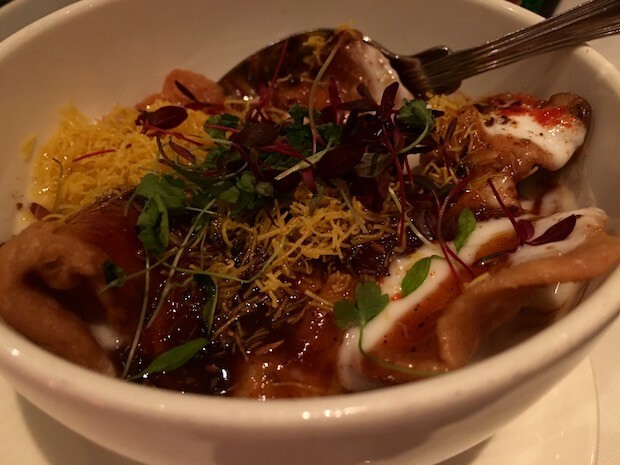 It was definitely not worth the £10 price tag, but the dahl had a good aromatic flavouring and the slivers of ginger added a lovely zing to all that creaminess. It also made a good accompaniment to my eggs the next morning. 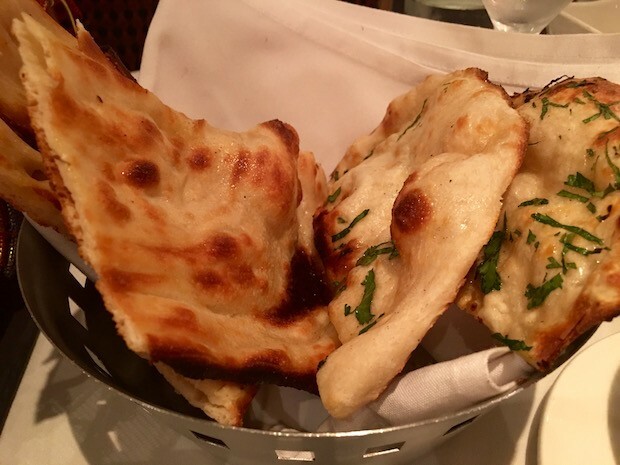 Slathered in a generous amount of ghee, both the naan and kulcha (stuffed with onion and coriander), arrived. Ah, the piazi kulcha was average and I couldn’t really get much from the stuffing, but still tasted good with the mixed grill and dal. The final bill amounted to a shocking £80 so £40 each, including a very unnecessary cover charge. I think I saw BW’s eyes almost pop out of his head when reading the receipt, and when he saw that the two most absurdly priced items (black dahl and lassi) belonged to me, his look of surprise slowly turned into a look of “great, not again”. Oops. Turns out that our cheap and cheerful pizza date amassed to a full blown £80 Indian affair, all thanks to me and my poor decisions. Sorry BW! Ultimately, Gaylord was just too expensive for what it was. 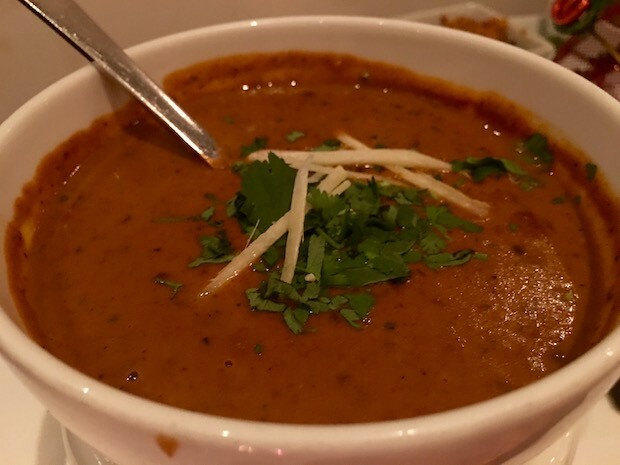 Sure, they consider themselves to be a fine-dining restaurant and the food was decent, but was it worth the £5 lassi or £10 black dahl? Unfortunately not. 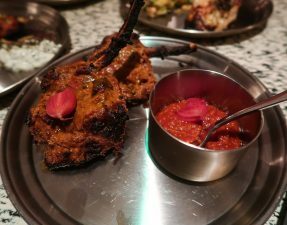 If you’re up for spending a similar amount on dinner, I highly suggest Bombay Palace (which will be reopening this Summer); another high-end Indian restaurant that serves delicious food with a slightly cheaper price tag. I agree it is expensive for what it is, but surely you knew the price when you ordered it, so no reason to be surprised at the end ! !